Prison is the only home 11-year-old Perry has ever known; his mother was incarcerated before he was born. 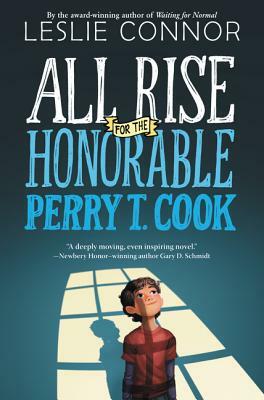 In an unusual arrangement (the warden is his foster mother), Perry lives in the prison, with full access to his loving mother and many friendships among the prison population. A district attorney overturns this, insisting that Perry come live with him, his wife, and their daughter, and threatens to sabotage Perry’s mom’s upcoming parole hearing. Perry’s world is turned upside down, but he manages to keep his bearings and respond brilliantly to these challenges. A rare look at the child of an incarcerated parent, and a beautifully written middle-grade novel.